Mars' decision to pull all advertising from YouTube in the UK creates an opportunity for ITV to take a greater share of the UK digital ads market, a media analyst has claimed. 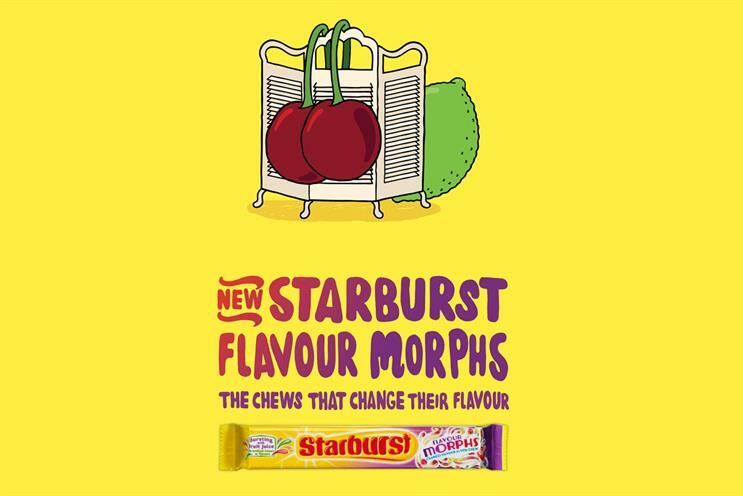 The confectionary giant announced the move on Saturday (4 August) after a Starburst ad appeared alongside a "drill" video by Moscow17. Drill is a rap music genre known for being linked to violent crime in London and often contains lyrics about violence and gang symbols. It is the second time within a year that Mars has pulled ads from the Google-owned platform, following last year’s revelation in The Times about ads appearing alongside videos that promote terrorism and exploit children. This morning a Google spokeswoman said: "We are actively working with the Metropolitan Police to review videos that may be connected with this incident. Along with others in the UK, we share the deep concern about this issue and do not want our platform used to incite violence." But Ian Whittaker, head of European Media Research at Liberum Capital, said today (6 August) that "there are no signs YouTube is closer to solving the problem" of ads appearing alongside inappropriate content. "The seemingly endless wave of YouTube problems on this issue creates an opportunity for ITV to take a greater share of the very fast growing £1.7bn online video advertising market where it has a [less than] 6% share [versus] a 46% share of UK TV advertising," he added in an analysts' note this morning. ITV’s chief executive Carolyn McCall wants to create a "direct to consumer" business that would see the UK’s biggest broadcaster take on its online streaming rivals. As part of ITV’s "strategic refresh" unveiled last month, McCall said the success of subscription streaming platforms like Netflix and Amazon Prime had shown "consumers’ willingness to pay". While the TV ad market is forecast to grow by 2.5% this year from £5.1bn last year, according to the latest AA/Warc Expenditure Report, broadcaster video on demand is set to grow by 11.8% from a much smaller base of £211m. Liberum added that the UK online video ad market grew by 47% in 2017 to about £1.7bn and is "continuing to take share from other parts of online advertising". It also estimated margins on ITV’s online VOD revenues to be "at least 60%". Even though ad advertisers care about brand image, this does not appear to translate to robust brand safety precautions, according to Nick Welch, vice-president of sales and business development at ad tech company ADmantX. Welch said: "Agencies are either left without the brand’s guidance, don’t have brand safety KPIs in their contracts or are conflicted relying on ineffective brand protection technologies like negative-keyword targeting that fall well short of the mark. "Without a brand experiencing consumer mistrust as a result of brand safety failings, or a platform such as YouTube finding itself negatively impacted by financial revenues, we have to ask ourselves – when will the next brand safety scandal occur?" Understanding the content that will surround an ad is essential, Welch added, but he warned this can only be achieve through a "multi-layered approach", including "vetted, robustly tested tech that has a precise contextual understanding across ad spend". Publicis Groupe’s Starcom is the main media agency handling buying for Mars but its sister shop Zenith has run the business in the UK for decades. Earlier this year, Mars launched a £1bn media agency review that aimed to consolidate its business with one agency holding company from three (it also uses WPP and Omnicom globally). A spokeswoman for Mars said it was "unacceptable and disappointing" that one of its brands had been advertised alongside video content. She added: "We have taken the action to remove all our online advertising on YouTube and can confirm we are working with Google and our media buying agencies to understand what went wrong. "Until we have confidence that appropriate safeguards are in place we will not advertise on YouTube."